Deliver your message right to your customer's door. Door hangers from 44ink are an effective advertising option for your business. Our door hangers are affordable and simple way to get your message out in masses. 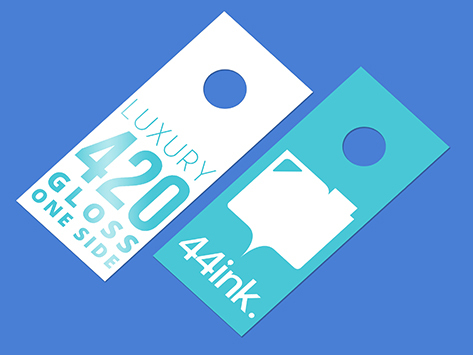 You can choose our paper from the cost effective 310gsm to the luxurious 420gsm paper stock coated with gloss and matt laminated. All be printed with UV ink cure to make it more durable.